After a top-notch performance at Lollapalooza over the weekend, Spoon have been spending the week in New York celebrating the release of their new record, They Want My Soul. 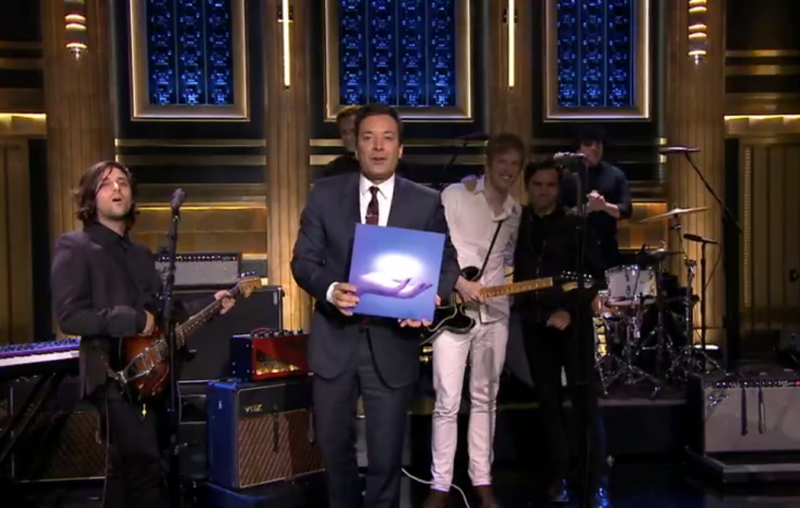 First came a cryptic “secret” show at The McKittrick Hotel, which was followed up with an appearance last night on Jimmy Fallon. Britt Daniel and the boys delivered a stunning performance of “Do You”, and you can watch the replay below. On a side note: yesterday marked the 100th episode of The Tonight Show Starring Jimmy Fallon. Congrats, J-Fal! They Want My Soul is out today on Spoon’s new label home, Loma Vista. For more insight into the group and the new record, you can revisit our recent live chat with all five band members here. You can also catch them live as they continue their world tour with the likes of Arcade Fire, Hamiliton Leithauser, and EMA, and festival appearances at Outside Lands, Philadelphia’s Made in America, Boston Calling Music Festival, and of course their home town’s favorite fest Austin City Limits. Find their full itinerary here.